Home » Featured , Latest Buzz , Paper News » Arnold to be a part of Ai? Arnold to be a part of Ai? There is already a huge buzz in K'Town that of Shankar's film, Ai, Aascar Ravichandran, is planning a grand audio launch. Now, Sources say that Arnold Schwarznegger, the Hollywood Superstar, is likely to be the Cheif guest at the function. Aascar Ravichandran had earlier roped in Jackie Chan as cheif guest for the audio funcion of Kamal Haasan's Dasavatharam. Though there is no official confirmation on it, the makers of the film have felt that it would be apt to have Schwarzenegger as cheif guest as the film releated to body-building. The music of the film is composed by A.R. Rahman and cinematography is P.C Sreeram. 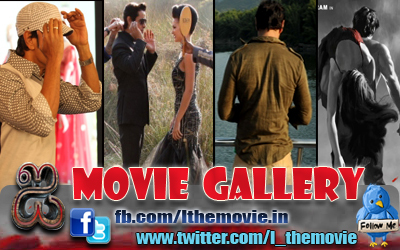 Amy Jackson, Santhanam, Suresh Gopi, Upen Patel and many others form the star cast of the film.